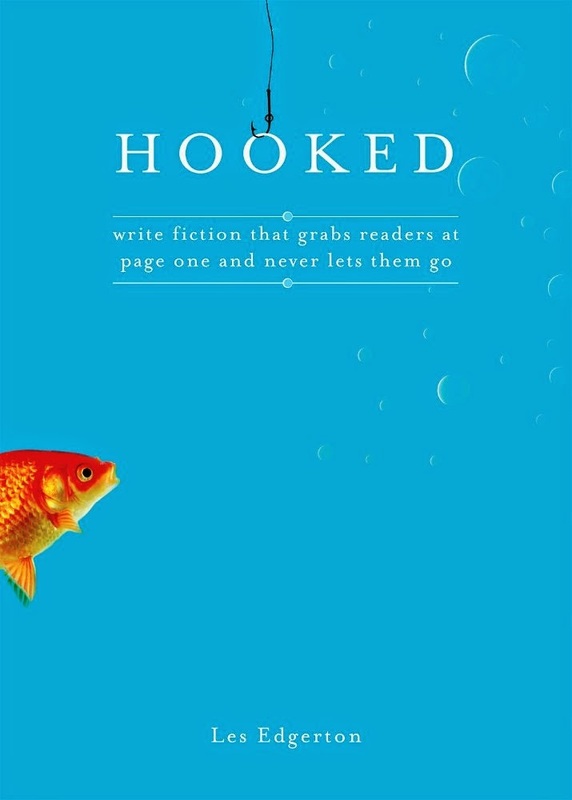 An author I met at the ConText writing convention suggested that I read Les Edgerton's book Hooked: Write Fiction That Grabs Readers at Page One & Never Lets Them Go. Having done that, I want to share what I learned with you. It should be no surprise that an improper opening dooms your story. Agents won't be interested in it. Editors and publishers will reject it. If you get it into a reader’s hands, they're more likely to put it down than to read it. This advice is echoed in the words of agents, publishers, and editors quoted at the end of the book. The best kind opening is one that shows the protagonist in his or her world, then quickly disrupts it with the main story-worthy problem. The opening should provoke the reader’s curiosity and help the reader live through the experience with the protagonist. 1. The inciting incident - which creates the character's initial surface problem and hits at the story worthy problem. 5. Backstory – share only the minimum amount necessary. Trust the reader to "get" what's going on. 8. Character Introduction - introduce characters by showing their reactions to the inciting incident, which defines their personalities and gives the reader a first impression. Make sure it's clear which character is the protagonist. 10.Foreshadowing - a hint of the action and obstacles to come. Not all stories do this, Edgerton says "but a disproportionate number of the best do." Show a character who is very different (stronger, meaner, smarter, stranger) than the typical person and you'll make a reader want to read on to understand that character. Show something unusual happening in a common situation, like a passenger on a bus doing a dance number down the aisle for the other passengers. Give the reader an unusual image or drop an unexpected word into a sentence, like "I looked out to see Charlie washing his car for the third time today, even though it hadn't left the driveway." Start with a pleasant or pleasurable scene, and show the character reacting negatively to it, like "It was Tommy's birthday, and they were going to have a party. All his friends would be there, and his mom would serve hot dogs, macaroni and cheese, and all his favorite foods. He couldn't wait for it to be over." Use a metaphor that's original and fits the protagonist in your story, like "She teased me, just like a package of candy hanging in a vending machine by a tiny sliver of the package. Just a little nudge, and I think she'd have fallen into my lap." Show us a character whose earliest memories aren't pleasant, like "My oldest memory is the time I accidentally knocked my mom's favorite vase over, and she burned me with her cigarette." Give the reader a secret that will be revealed or a mystery that will be solved, such as "My grandfather pried up the bottom step leading to the attic and showed me an envelope he'd hidden there. 'This is the combination to my safe,' he said. 'When I die, I want you to use this and take care of what's inside. Do you understand?' I nodded." Show us a character with a memorable and descriptive name like "Slugger James" or "Sleepy Alice". Create a protagonist who embodies some universal fear or experience in a very specific way, like "Nancy stared at the tumor on her leg, knowing it was spreading cancer throughout her body." Put the protagonist in the center of a bad situation. "Joe had run out of options. He had to steal the money, and steal it quickly." Raise questions about something we don't experience every day, like an unusual disease, an uncommon lifestyle or career, or an unfamiliar setting (provided this is central to the story). Opening with a dream: Showing a situation and then revealing it was all a dream. While a good opening isn’t enough to carry a weak story, a poor opening is enough to destroy the chances of an otherwise excellent story. There is more in Edgerton’s book than I’m sharing here. I recommend checking it out if you have an interest in learning more about story openings.